Honestly? Screw waiting for The Winds of Winter. 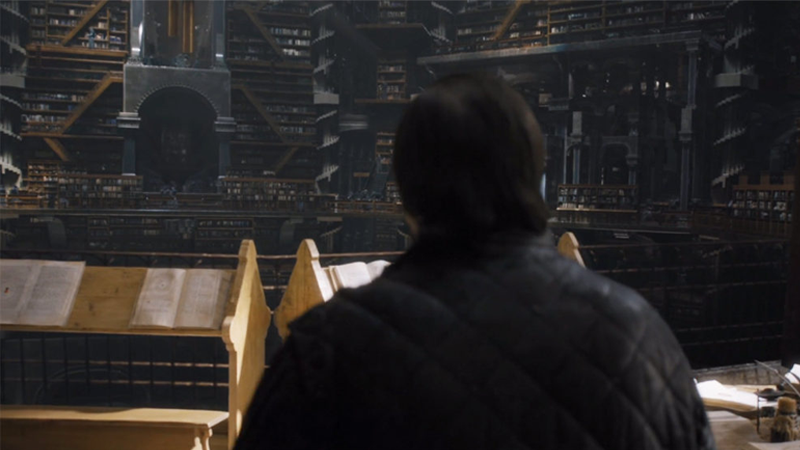 I want to read all these pages of Westeros’ backstory he has sitting around . I do have thousands of pages of fake history of everything that led up to Game of Thrones, so there’s a lot of material there and I’m writing more. At the moment we still have this show to finish and I still have two books to finish so that’s all speculation. Although some kind of Game of Thrones spinoff after the end of the show might be inevitable—HBO is open to one, and Martin has always fancied a miniseries based on his Dunk & Egg stories—the thought of there being thousands of pages of written Game of Thrones backstory out there sitting in Martin’s house (I’m imagining individual, hand-written scrolls, teeming with knowledge and wonders) is suddenly much more exciting to me than the prospects of a prequel or even the remaining A Song of Ice and Fire books. A World of Ice and Fire, telling the basic history of Westeros and the lands beyond it, was one of my favorite “distractions” from Martin’s work on The Winds of Winter that we’ve had from the past few years. I’d love to see dozens of new volumes of it, based on Martin’s apparently towering piles of pages.